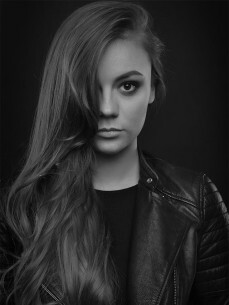 The Slovakia-born Hungary based DJ and producer Andrea Lane is in love with electronic music especially house, tech house. The first time she stood behind the desk was at the age of 16. After this experience Andrea and the music became bound to each other and she decided to take things seriously, this is why she has moved to Budapest to improve her skills at the most popular DJ school in Hungary. After taking a full DJ course there, Andrea has been working hard and spent a whole winter practising to be ready for the summer season. In 2017 summer she won a DJ contest and she played at the Balaton Sound, which is of the biggest festival in Europe. After this incredibly successful debut, her career rised up and she play regularly in the most famous clubs and lining up at some of the best festivals, not only in Hungary but also in neighboring countries. The Ballantine’s Music Awards was held in February 2018 and she was nominated in the category of most upcoming talent of the year. Andrea Lane is not just a DJ but also she has started producing, and now she is working hard on the new tracks. Her groovy-powerful style will taking over the music scene so stay tuned!